When you need replacement HVAC coils, Precision matters. Precision Coils specializes in manufacturing competitively-priced, precision-engineered replacement coils and OEM coils that always fit and are always on-time. And that means you can get your customers up and running quicker – with minimal installation time. How we ensure the Right Fit! Our experienced application specialists are just a phone call away and because we understand the replacment HVAC coil business, we can quickly answer any questions you might have. How we can promise Right Now! When we work together as a team to obtain the precise measurements and performance requirements you need, it's easy to schedule your replacement coil order immediately. Our efficient, proven "Build and Ship" production system can design and manufacture a custom replacement coil for you in 3-day, 5-day, or 10-day turnarounds. 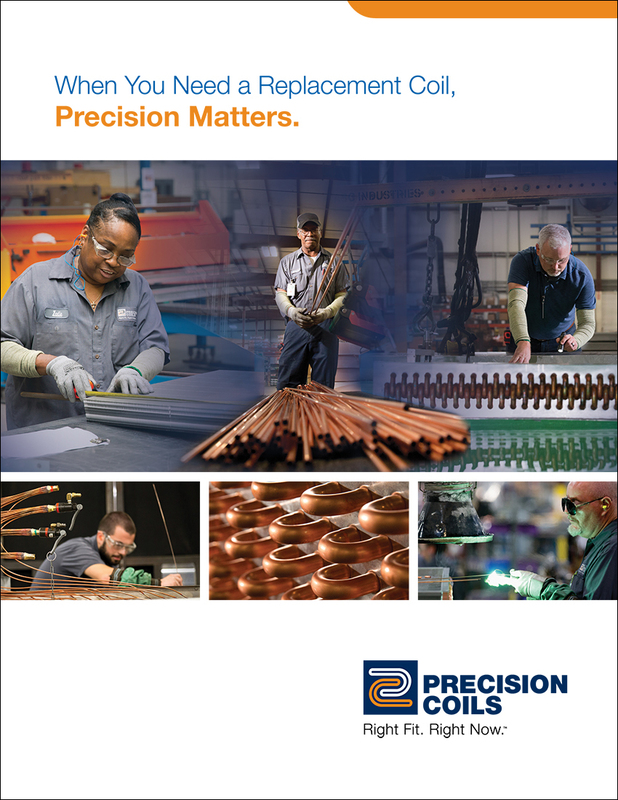 The New Precision Coils Corporate Brochure is now available.